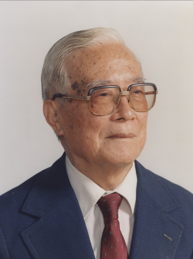 President Chao Nee Memorial Scholarship was established on April 18, 1996, at the 20th Board Meeting of Cheng Kung Cultural Foundation (CKCF; 成功文化基金會), by Tsu-Wei Nee, Marian Tsu-Tsun (Nee) Chou, and Tsu-Jye Abraham Nee, in memory of their beloved father, Dr. Chao Nee. The impetus for this memorial scholarship was to create a lasting tribute to Dr. Chao Nee, who strongly believed in the importance of education. The scholarship is also a reflection of his deep love toward the National Cheng Kung University (NCKU), where he taught and worked for 30 years and retired as the President of the university in 1978. Since 1996, CKCF in Tainan, Taiwan, has managed this scholarship fund. Annual interest generated is used for the scholarship. The President Chao Nee Memorial Scholarship Committee was organized in 1996 to oversee the selection of scholarship recipients. Scholarship Committee members consist of NCKU alumni & a Nee family member who work voluntarily and with dedication. Every year, three recipients are usually selected, and each is awarded with a check of $1,000 & a framed award certificate. A scholarship presentation ceremony is usually held at the National Cheng Kung University North America Alumni Association (NCKUNAAA) local area meeting where the recipients’ parents reside. Applicants must be descendants of National Cheng Kung University (NCKU) faculty, alumni or staff, who currently reside and attend school in North America. The recipient should be a full-time sophomore, junior, senior student currently enrolled in or accepted into an undergraduate program in a college or university in North America, with a GPA of 3.25 or higher. The Scholarship is granted annually. Applicants may apply for the scholarship a maximum of two times during the period in which they are eligible. An individual may be awarded the scholarship only one time. In the case of a "tie", the scholarship shall be awarded to whom-ever is in "greater" financial need and/or other criteria determined by the committee. Of the scholarships awarded each year, one will be reserved for a recipient applying through Cheng Kung University Alumni Association – Southern California, located in Los Angeles, in honor of the fact that ashes of President Chao Nee & Prof. Ting-Wen Lee Nee are stored in the I.B.P.S. Temple located in Rose Hill Cemetery, Los Angeles, CA. The monetary award amount, the distribution quota of the Scholarship, and the recipient's necessary qualifications are subject to change under review by the President Chao Nee Memorial Scholarship Committee as the CKCF and NCKU-NAAAF funds evolve.